Signup for the Winter Doll Quilt Swap! 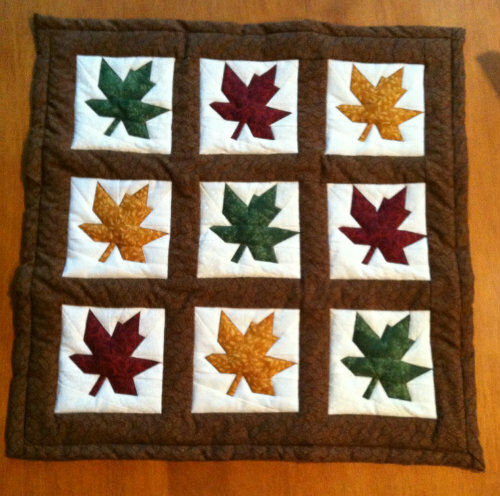 Remember this post about the fall doll quilt swap? It’s time for the 2013 Winter Doll Quilt Swap! Signup in the forum – here by February 1st. This swap is open to everyone, and a great way to see if you like swapping! Confused or full of ideas? You can share ideas and get clarity by posting in this thread in the forum. Mail your package by March 1st. Wait for your new quilt to arrive! This tutorial comes from mama3many, a Sewing Mama in the UK! felt – I HIGHLY recommend pure wool felt. It’s pure joy to work with and tends to last much longer than acrylic. Also acrylic felt tends to tear at the seams whereas wool felt does not. needle and thread in matching colours. I use embroidery floss. Cut your felt and cardboard. Felt pieces: cupcake side x1, cupcake base x1, cupcake lid x 1, cupcake topping tops x 2 (these are the same piece as cupcake lid). In this example my cupcake base, lid and topping tops are light yellow and my cupcake side is beige. Hotglue the magnets on to the two larger cardboard circles. Make sure you glue the magnets in such a way that they attract each other! Fill the cupcake with stuffing. Place one of the large cardboard circles over the stuffing. Make sure the magnet is facing up! Take one of the large felt topping circles and stitch the embellishments on. Take the remaining felt circle and the second cardboard with magnet and sandwich like so (I hadn‘t decorated the top of this one). Make sure the magnet faces the non-embellished felt circle! Make more in different ‘flavours’ and you’ll have interchangeable cupcakes! I’m a home educating mother of four kids aged 7 years to 9 months. We live in Wales, UK where I craft any moment I get. I’m passionate about education, crafts and swapping knowledge and skills with others. As a child I was discouraged from anything crafty as apparently I wasn’t good at it. I’ve since learnt that the skills are there for the learning and it’s all about finding the right teacher, tutorial and materials. I love the use of magnets rather than velcro to put these together. Velcro always seems to pick up lots of little fuzzies and pet hair, plus the hook side tends to stick to the felt in all the wrong places. This is a great idea! Thanks so much for sharing! Disclaimer: This project produces toys that contain small parts that may present a choking hazard for small children. It is expected that children under 3 be supervised at all times when playing with such toys. Older children may or may not require such supervision, Sewing Mamas LLC assumes no responsibility for end use.